These compact regulators are designed to provide a constant fixed flow rate of non-corrosive gases and mixtures from disposable cylinders fitted with a CGA 600 outlet connection. They provide both pressure and flow control. When regulator is supplied without 1/4” flow control hose barb the 3970 is an adjustable pressure regulator. Integral needle valve for shut-off and to control flow. Integral CGA 600 connection provides compactness and minimal loss of gas during installation and removal. 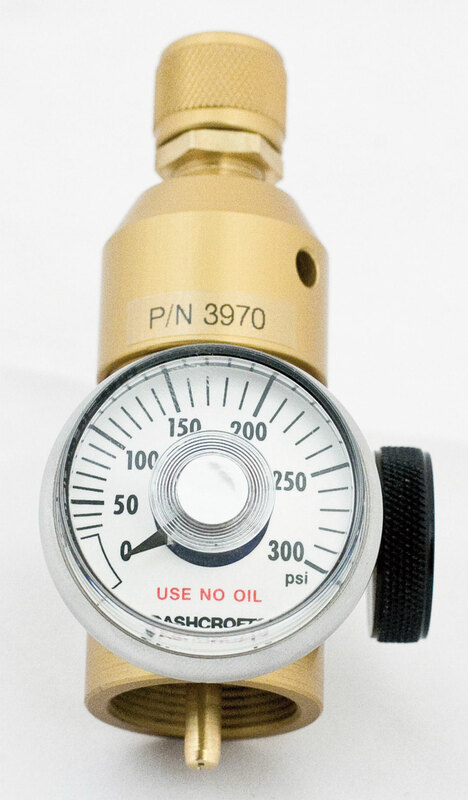 0-300 psig inlet pressure gauge to monitor cylinder pressure. Inlet pressure: 300 psig max.